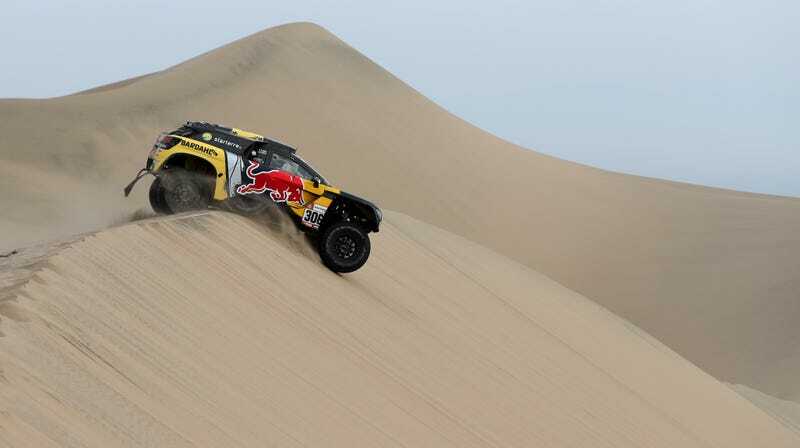 The Dakar Rally has been held in South America for a decade now, following unrest in some African nations. To many competitors, that’s the right place for it to stay, but because of some interesting international issues, the rally was forced to stay within the bounds of Peru for the 2019 running. Not only does this make a long-distance desert race like this difficult to orchestrate, but South America is suffering many of the same issues that forced the rally to vacate Africa. Maybe it’s the right time to move on from South America and send the Dakar rally packing to find a new home. According to reports from Cycle World, that’s exactly what the organizing body is doing. There were a number of rumors circulating through the competitors, telephone style, that the Amaury Sport Organization would be moving the Dakar rally out of South America, perhaps as early as 2020. According to Cycle World’s anonymous sources, the plan is to head to Saudi Arabia. Saudi Arabia reportedly tossed $15 million into the coffers of the ASO to win the bid by a landslide. Chile apparently only gave $3 million for the 2019 running. The report continues with the indication that the 2020 running of the Dakar event will take place entirely within the confines of Saudi Arabia, but will expand from 2021 to 2024 to extend the hosting roster to Jordan, Egypt, and the UAE. Apparently other considerations were given to North African countries, and running in the deserts of China was also on the table. Ultimately, the rally runners have chosen to follow the money to the Middle East, which likely won’t be a bad thing. Dunes are dunes pretty much anywhere in the world, right? Lets get on with the racing.